Complete your swimsuit with our matching Malibu Pink sarong! Featuring the same swimsuit material and scale pattern as our Malibu Pink swimwear with vibrant fuchsia scales and bursts of violet color. 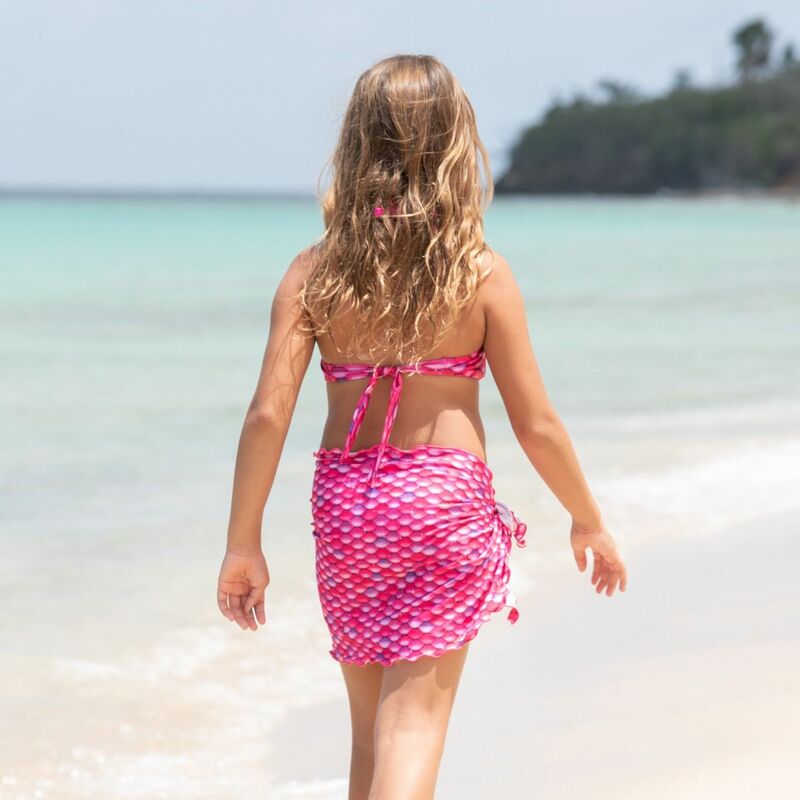 Because sarongs are meant to cover your bottom in a fashionable way, our mermaid sarongs for girls and women are a necessity at the pool or beach! And this one’s for the mermaid fashionistas who always reach for pink! Our stretchy swimsuit fabric feels comfortable and looks exceptional tied around your waist. 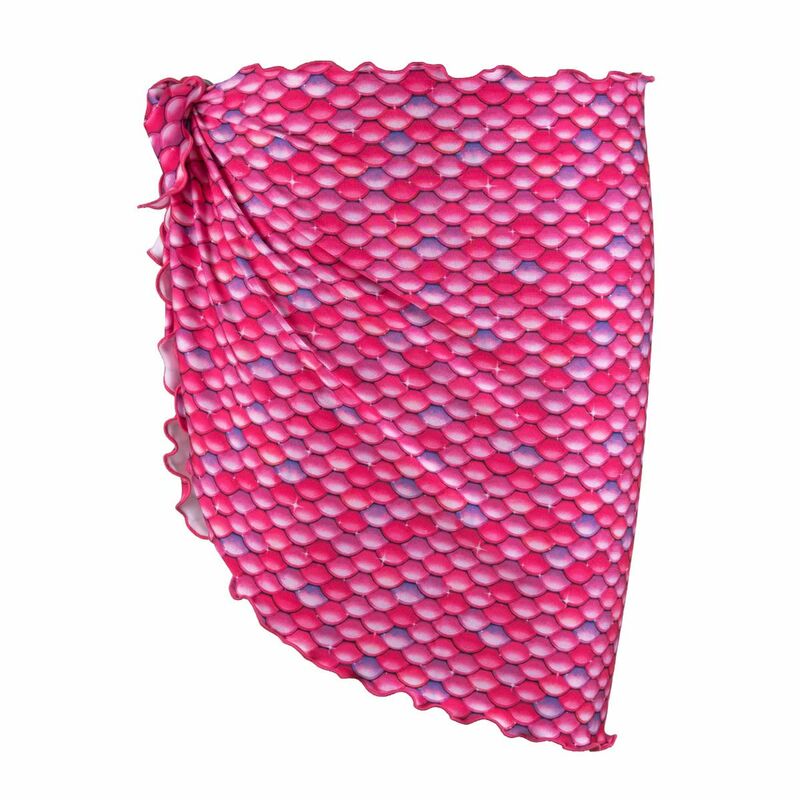 Plus, our mermaid sarong wrap coordinates with our entire Malibu Pink collection. To keep colors true, wash your sarong on the cold, gentle cycle of your washing machine. Lay flat or hang to air dry. Avoid all forms of high heat like hot tubs, dryers, and irons to prevent damage to the spandex fibers.